Listen to Riding in Cars right here. This playlist was supposed to be posted yesterday morning but the day snuck away from me. You may recall from this post that I've switched over to 8tracks.com to put together playlists. I am really starting to love 8tracks.com because people often create themed mixes. 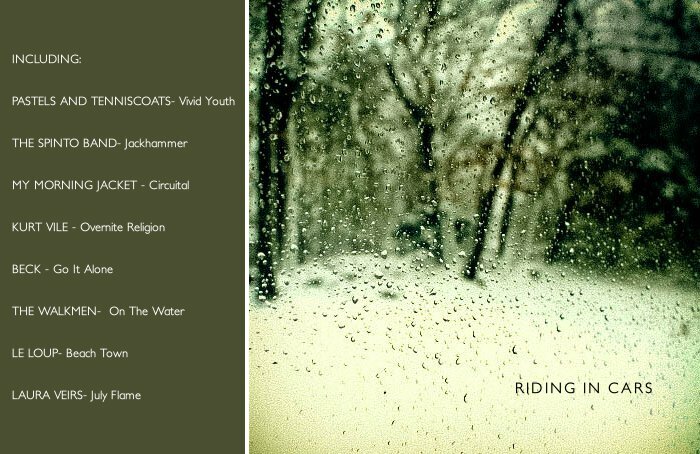 I always down for a good theme mix so I put together Riding in Cars to enjoy on our next lazy winter road trip (which will hopefully be soon if even a day trip). Hope you enjoy. Browsing with you mobile device? 8tracks.com has a free app for iPads/iPhones and other mobile devices. © Our Simple Souls 2009-2011. Powered by Blogger.